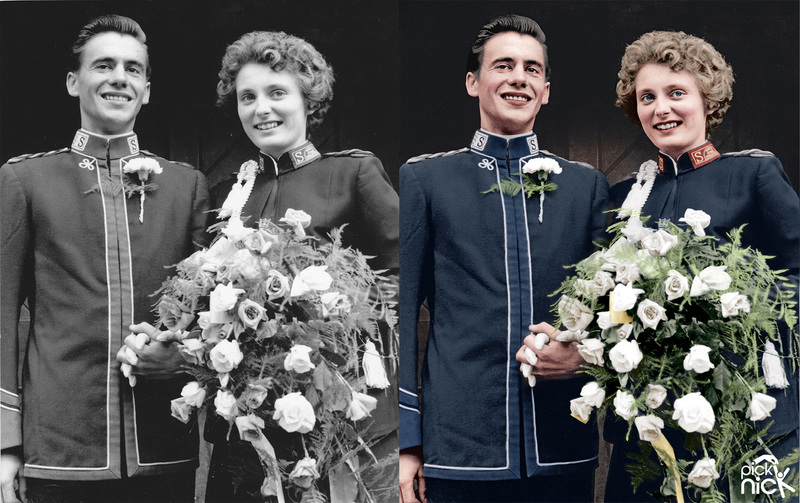 Bring those family history moments alive with my black & white colouring service. 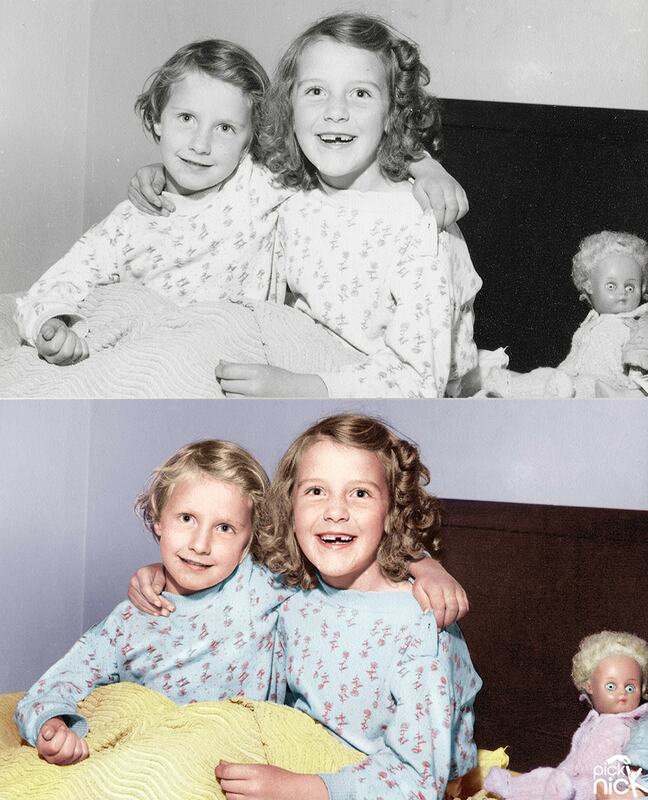 Over time coloured photos can get sun bleached and discoloured. Repairing a sun damaged photo is achieveable. Are colours inaccurate? Selected areas can be individually colour adjusted. Looking for something a bit different? Selective colouring highlights certain elements, while leaving the rest in black & white. 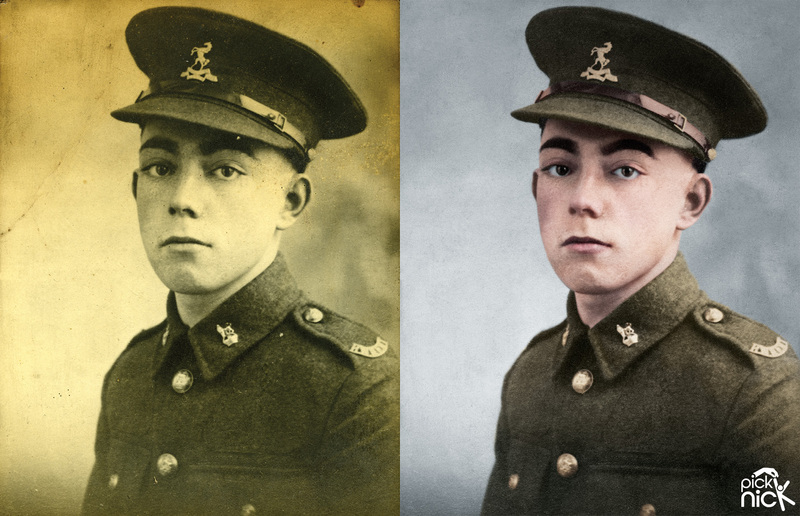 Ever wished you could see your favourite old black & white photo in colour? Wish no longer as this can be achieved with my colourising service. To colourise a black & white photo is a digital process of building up colour tones. It really brings the photos to life! The outcome is very rewarding as it shows moments in history that have never been seen in colour (except by those who were actually there). Simply bring the photo to me or email me a high resolution scan (600 dpi, saved as uncompressed JPG), provide me with colour references (hair colour, eye colour etc) and I will do the rest! 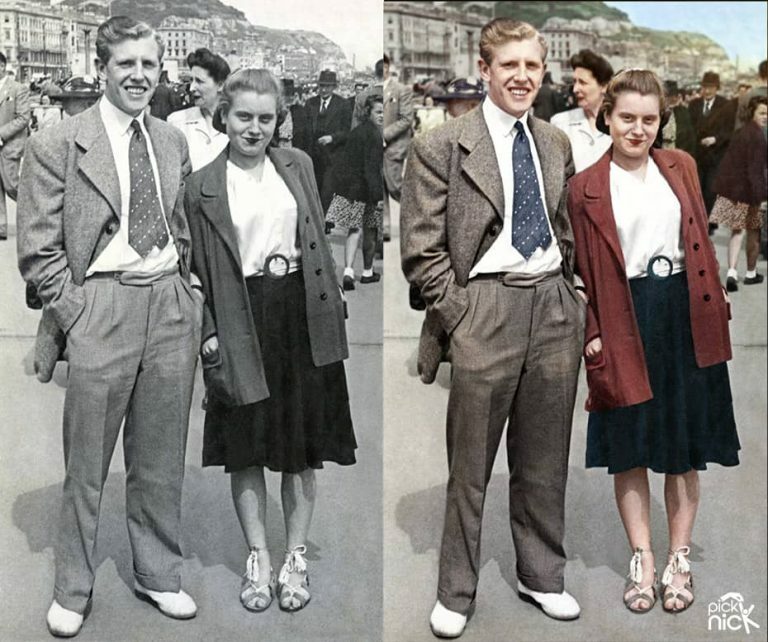 Here are a selection of black & white photos that have been coloured, showing before and after. Each example can be enlarged. Looking for a photo repair service? 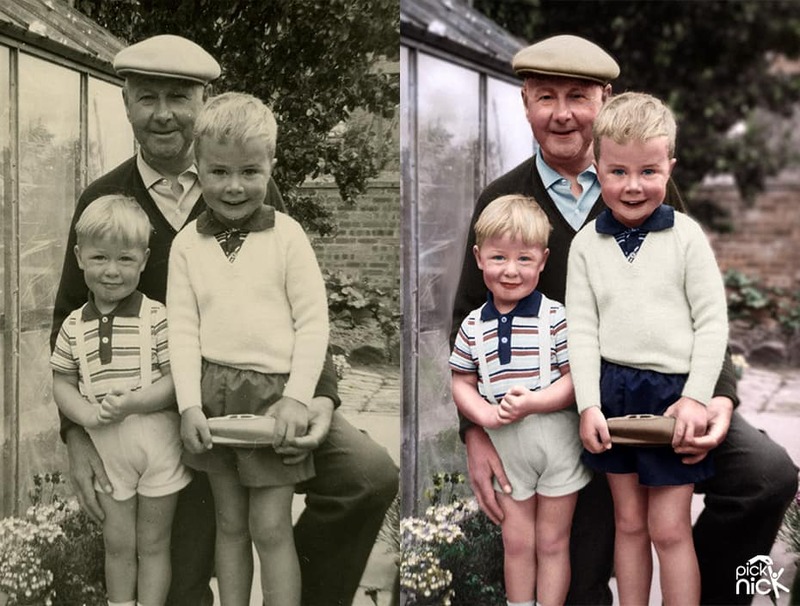 Dad who has everything — How about a colourised black & white photo?